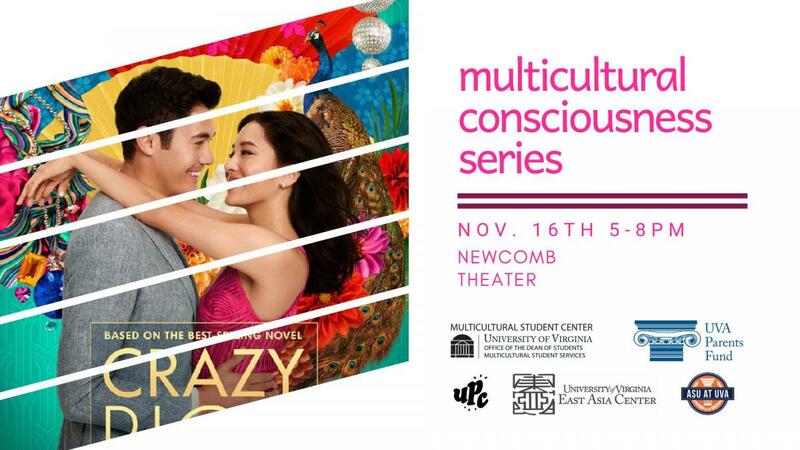 The Multicultural Consciousness Series includes lectures, debates, panel discussions, films, videos, performances, and other events open to the larger UVA Community. The series features topics in diversity and multiculturalism within the University context and within the nation and world. The goal of the series is to present thought-provoking topics that allow students to engage in thoughtful dialogue with one another, participate in discussions that may often involve controversy, and engage in thoughtful and critical dialogue along lines of difference. In Spring 2018, the series featured Intersectionality Dialogues: Real life people, real life experiences, with professors and students from intersectional themes of feminism, sexuality, race, class, and Islam. Generously funded by the UVA Parents Fund. TIWIK is speaker series where faculty and staff share personal experiences on their identity and background, their career path or field of work, or another topic of their choosing. This series of programs features UVA faculty and staff sharing life experiences within the context of things they wish they knew within a given moment or experience of their life and career. In an effort to showcase many of the diverse identities and experience of our faculty and staff, this program aims to provide insight for students as they navigate a diverse and ever changing world. As the saying goes, "Hindsight is 20/20". October 25, 5pm - Ricardo Padrón will share his experiences with matters of ethnic identity as an undergraduate at U.Va. in the ‘80s, a grad student in the ‘90s, and a professor at U.Va. since 1997. Mr. Padrón is a native of Ecuador whose father was Cuban, and who grew up in the United States. He has been teaching in U.Va.’s Department of Spanish, Italian, and Portuguese for 21 years.Things I Wish I Knew is an initiative for faculty to share personal experiences on their identity and background, their career path or field of work, or another topic of their choosing. Come join the discussion. Catering will be provided. November 27, 5pm - Noelle Hurd - The Scully Family Discovery Associate Professor in Psychology at the University of Virginia, Dr. Hurd's research agenda has primarily focused on the promotion of healthy adolescent development among marginalized youth. Specifically, her work has focused on identifying opportunities to build on pre-existing strengths in youths’ lives, such as supportive intergenerational relationships. She runs the Promoting Healthy Adolescent Development (PHAD) Lab at the University of Virginia and is a licensed clinical psychologist in the state of Virginia. Diversi-Tea Career Conversations - a collabortive initiative with the University Career Center - is a series of informal chats with alumni and friends of the university around topics including: personal identity and career exploration, navigating recruitment and applications, and building community through mentors and networks. January 31, 2019 at 6 PM - Teaching and Learning Librarian Regina Carter will be discussing her experiences as a black woman librarian, as well as building a sense of community. Before coming to UVA, Regina worked in Indonesia as a Fulbright English Teaching Assistant, teaching conversational English to secondary students, and her interests include performing Spoken Word poetry, the history of Black librarianship in the twentieth century, multicultural children's literature, storytelling, and diversity in library science.